Popular group�NYC will be singing the theme song and ending song for upcoming anime film, "Nintama Rantaro Ninjutsu Gakuen Zenin Shutsudou no Dan", which is scheduled to be released on March 12th. These songs mark the first time that NYC has sung for a film, and it was revealed that the theme song will be "Yuuki 100%", and the ending song will be NYC's new song, "Yume Tamago." 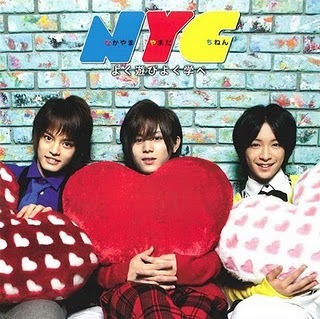 As many NYC fans already know, "Yuuki 100%" was their debut song, and the song has been inherited from many JE groups (Hikaru GENJI (Hikaru GENJI SUPER5), Ya-Ya-Yah, Hey! Say! JUMP). �It's been known since 1993, for a whopping 19 years, as the theme song from the TV anime version of "Nintama Rantaro", but NYC has taken over the song since 2010. On the other hand, the film's ending song, "Yume Tamago", is a new song which was made specifically for the anime, and it will be released on March 9th. 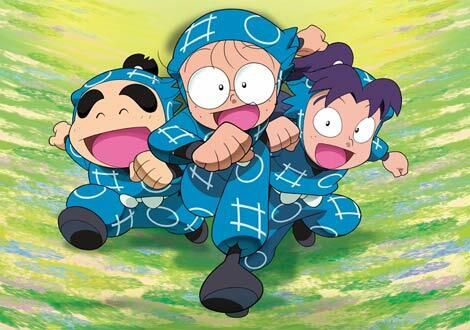 �"Nintama Rantaro" is a popular ongoing anime on NHK based on Amako Soubee's manga about a ninja school, and the anime adaption started airing in 1993.